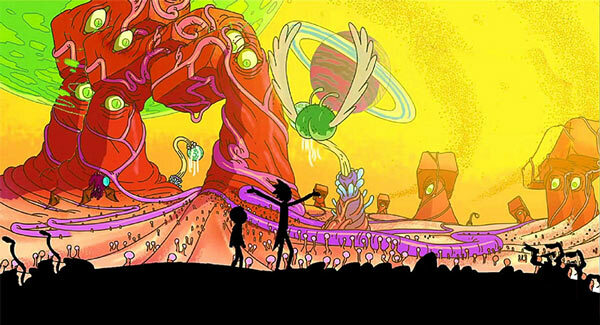 So there’s this show called Rick and Morty. It’s about a mad scientist (Rick) and his grandson (Morty) going on adventures throughout time and space. In one episode, it is revealed that there is an organization called the Council of Ricks, composed of many Ricks throughout the countless parallel universes. In this special one shot, each player is a Rick and Morty team sent by the Council to investigate a strange alien planet. What secrets does this planet hold? Can a team of Ricks from very different alternate universes work together as a team? Probably not, but you may be surprised! I hadn’t heard of this show before. I watched a few eps and man was it funny and the game extremely accurate. Man, gotta love Monsters and Other Childish Things. I’ve got a fever, and the only prescription is more MaOCT! I gotta say despite the shortness of this game, it has got me interested in a show I’ve never even heard of and has tried a style MaOCT that doesn’t get done all that often (playing the monster more prominently than the kid, which I believe Ross commented about being an option on the MaOCT main podcast episode). A fun episode, very Dr.Gonzo and chaotic. I could see this being played in Wushu or other similar systems as well (like the League games). Such a wild show (now introduced to it, thx guys) and an even wilder AP. Very curious to hear how this one goes if it continues as the universes offers a lot of wild times. For those like me who are new to the show, it’s up on Adult Swim for now & quite a treat. yikes, Adult Swim grim comedy. I burned out on the genre over Metalocalypse’s first season back in high school. grinds me down a little these days. I had to stop this one when people just started dying all over, it was a little too shudderingly PCish even for one largely inured to PCs being PCs. there’s this apparently horrifying Peter Jackson muppet parody called Meet the Feebles that I once heard criticized because the criticizer is disturbed by fiction where characters show no empathy for the deaths of other characters, which I think I’ve been carrying around with me my whole life and had never wrapped words around before. Adult Swim kinda puts me in that place sometimes. Welp, Adult Swim owes you some money. You’ve turned me on to this show. Never seen the show and I loved this episode. The voices were great. Fantastic job guys.